Dr Sprately has proved to be successful in both British Columbia and the UK. 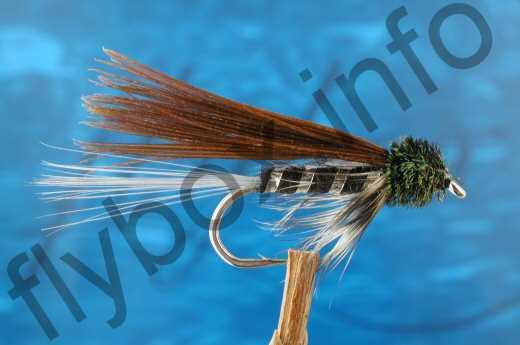 Tail : Grey hackle fibres. Body : Black wool or chenille. Beard Hackle : Grizzle hackle fibres. Wing : Bunch of brown pheasent tail fibres. Currently there are no comments about the Dr Sprately fly pattern from other fly fishermen yet.